The World Dog Surfing Championships are just around the corner and we couldn't think of a better way celebrate than with a special event introducing the new edition of The Dog's Guide to Surfing! 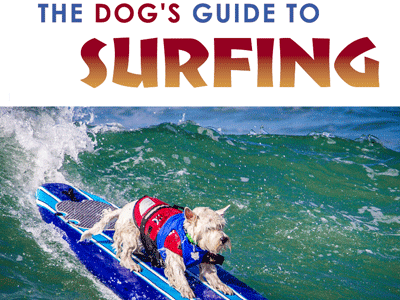 Written by the organizers of this pawsome annual competition, The Dog's Guide to Surfing brings the greatest stories, profiles lessons, advice, tips, movies, gear, and surf wear to anyone who has ever wanted to catch a wave with their four-legged pals. This event will feature an appearance from the competition, and your doggos are also welcome and encouraged to join the fun!